The Duggan Family are pleased to announce the return of the ‘National Eventing Discovery’ that will take place during the Millstreet International Horse Trials from 23rd – 26th August 2018. On Thursday 23rd August, four and five year old horses will be showcased under lights, with the top eight horses in each age group going forward to the ‘National Eventing Discovery Final’ in the International Arena on Friday 24th August. Thanks to the support of the Irish Sport Horse Studbook Breeding Fund, the Four Year Old Final will boast a prize fund of €1,500 with a €2,500 fund on offer for the Five Year Old Final. Breeders will also be recognised with a €250 breeder’s prize fund for each class. Entries for the National Discovery classes can be submitted via the Eventing Ireland website. Entry Fee: €80. Stabling can booked by contacting the Millstreet Horse Trials office. On Thursday 23rd August, the qualifier will take place in the Main Indoor Arena. Each competitor will have two minutes to demonstrate their horses ability on the flat. They will then proceed straight into the jumping phase. Flatwork – Two minutes flat work demonstrating the horses balance on both reins. Jumping Phase – Natural obstacles combined with 7-8 show jumps. The top 8 horses in both classes will proceed to the Final in the Outdoor Arena on Friday evening where competitors will have two minutes to demonstrate the ability of their horse on the flat – demonstrating balance on both reins at walk, trot and canter. They will then proceed straight into the jumping phase which will comprise 7-8 show-jumps immediately followed by 5-6 natural obstacles. 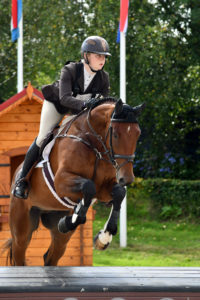 At the end of the jumping phase, the competitor will demonstrate the ability of their horse to gallop.